Electric energy used for therapeutic purposes; it may be applied in the form of treatments using low, medium or high frequency current. Galvanic current therapy is a form of low-frequency treatment that has a marked pain relieving and vasodilator effect. With the help of Galvanic current medicaments can be passed through the skin into the organism (iontophoresis). Selective stimulus current is used for the treatment of paralyzed muscles. TENS (Transcutaneous Electric Nerve Stimulation) is a treatment used all over the world with a strong pain killing effect. In general, high frequency treatments have an intensive thermal effect in the tissues, enhancing circulation and relieving pain. 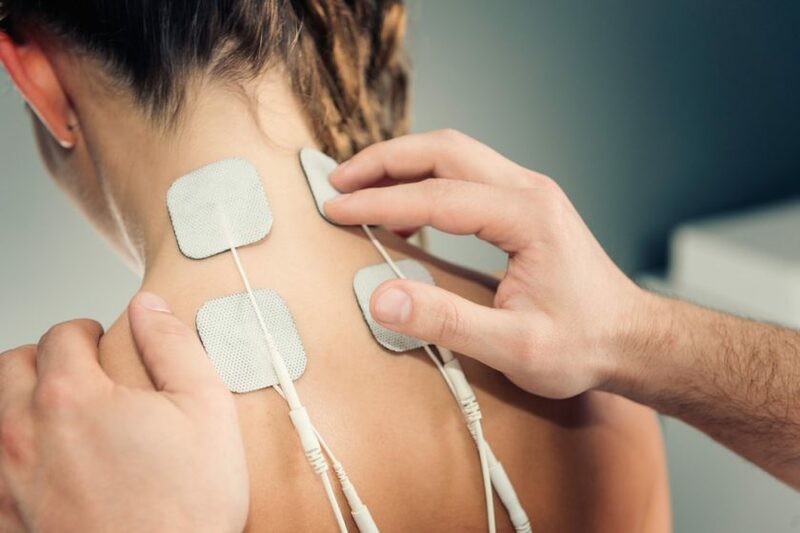 Ultrasound treatments are generally mentioned as a form of electrotherapy; having an intensive micro-massaging effect in the tissues, they properly belong in the category of mechanotherapy.